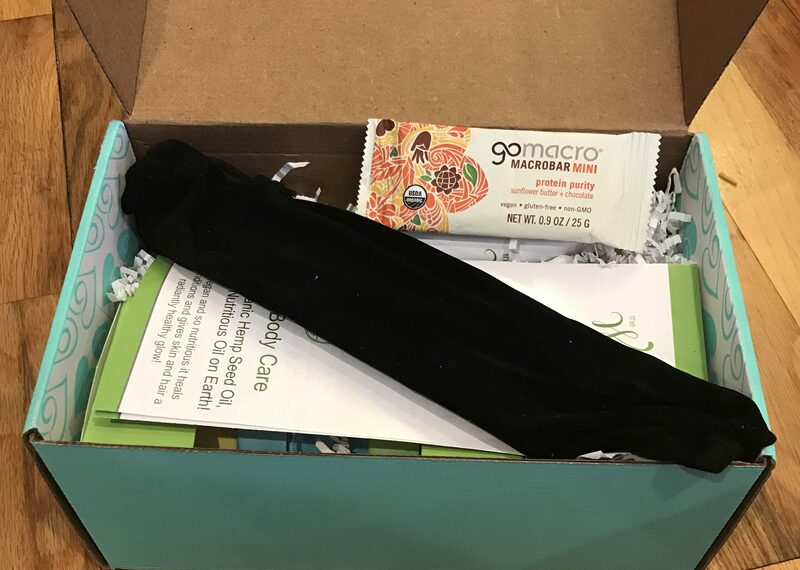 Ecocentric Mom Subscription Box is a monthly subscription box for moms and moms-to-be and their wee one from newborn to toddlerhood sending at least five (5) products that are good for you and/or baby, eco-friendly, and useful. It’s mighty cold here in Chicago! Sub-zero with a -40 windchill. I digress, first peek in the box! As usual, I ate up the nom. Ok this is good. Just dig into the bar knowing that it is predominately sunflower butter flavored. Or you can do what I didn’t do and READ THE LABEL rather than assumed it was chocolate, and just nommed. 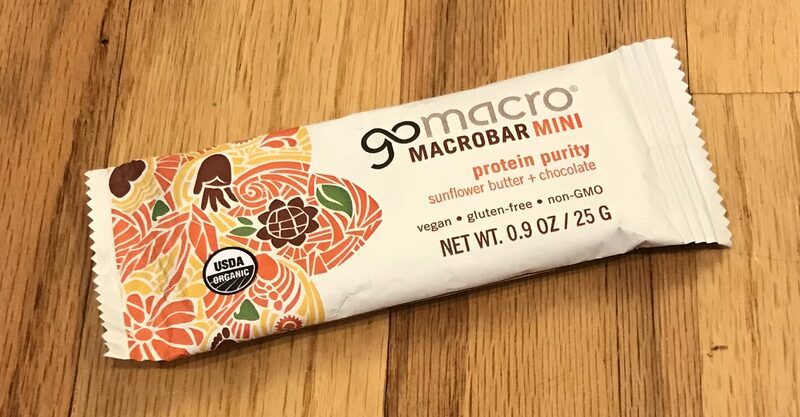 So after the initial unexpected flavor confusion, this is an excellent sunflower butter bar flavored with chocolate! 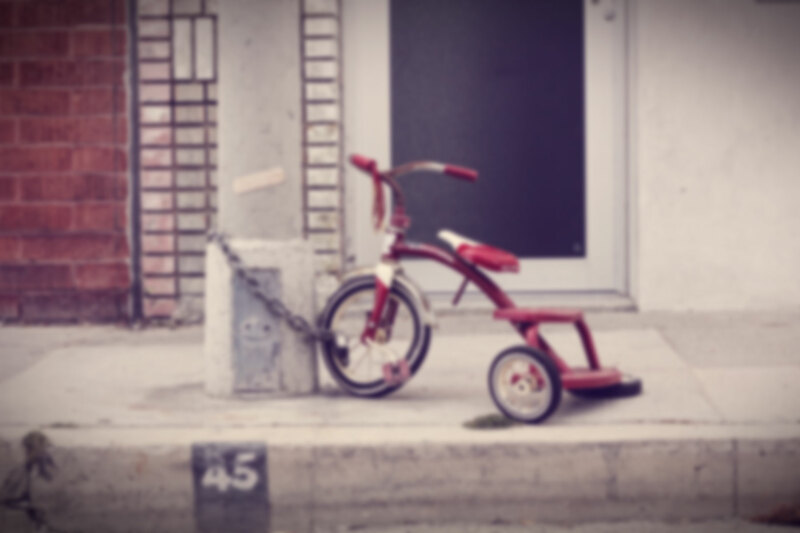 Plants made this for my little Pnut people. 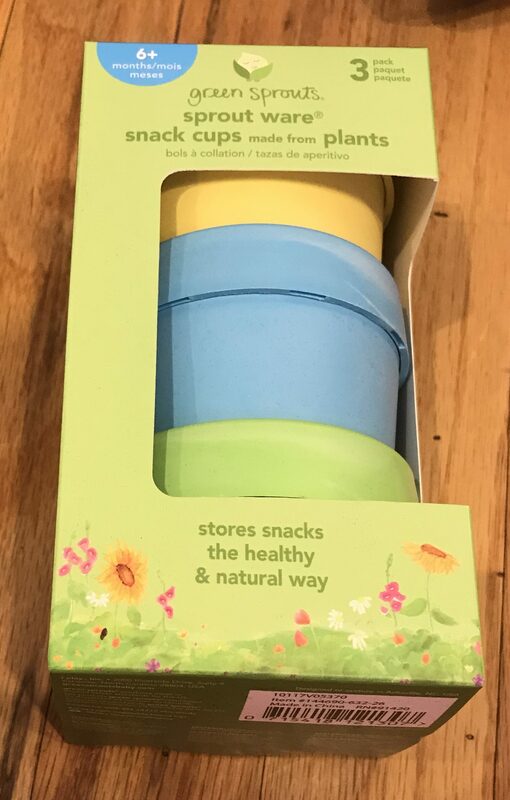 These are adorbs and great for making that big box of Annie’s Cheddar Bunnies more appetizing and less boring packed into one of this cups. 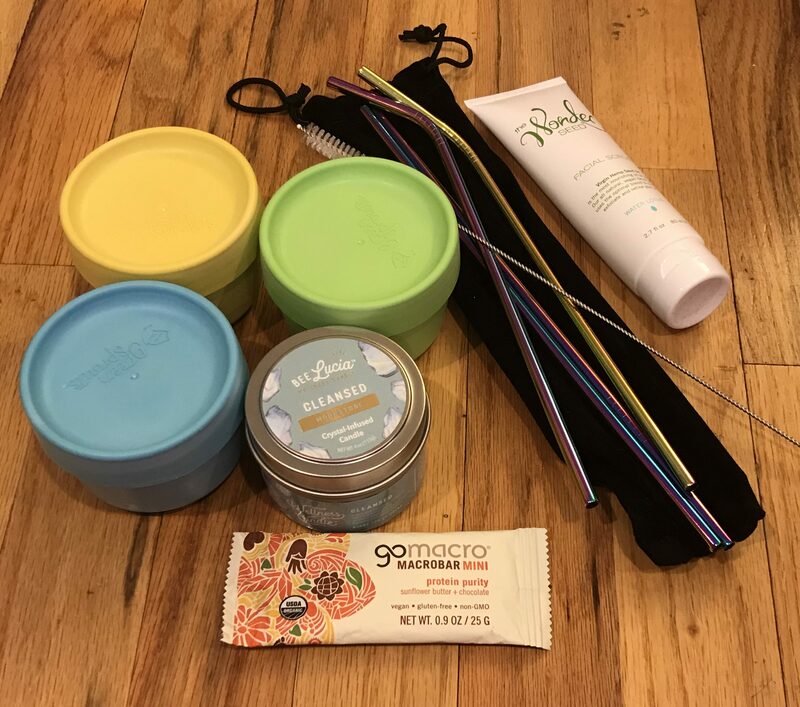 I almost bought some bamboo straws for my next Grove Collaborative order (see our reviews here) but I am glad that I received this box before my Grove box shipped so I swapped the straws for something else (stay tune for next month’s review)! I digress, These are awesome sauce and my Sqeakers (AKA Pnut people) squeaked in happiness of the awesomeness of having a unicorn/rainbow straws with their sub-zero no school day lunch. This box keeps getting better and better! 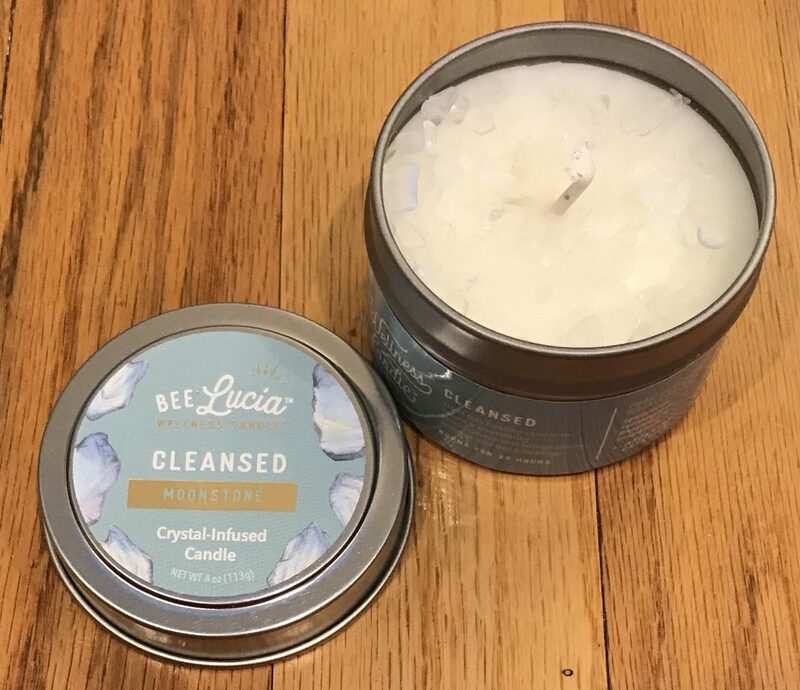 A long time ago, Sub Bella got a travel candle with gems in it and I was soooooo jelly. Today is my day! It smells minty and I can feel a tingle in my nose just huffing it! And I can use this as a moisturizer too! I LOVE moisturizing candles!!! Oh my goodness, I LOVE a face scrub. I can scrub ma face everyday if I could. I have opened soooooooo many face scrubs from the past two months that I need to put this as a backup or in the gift pile. I will probably use it though because scrubs are my jam! Sorry for the virtual squeal, can you tell I LOVE this month!!! 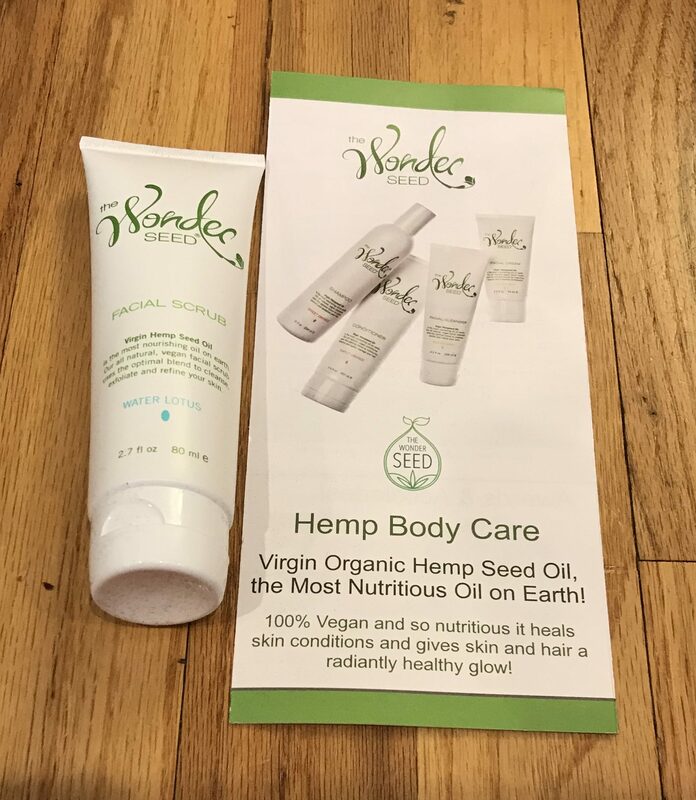 I am always in love with Ecocentric Mom Subscription Box! The nom, the straws I needed, the containers to contain, the AWESOME gem candle that I always desired to appear in one of my subscription boxes, and a face scrub for this scrubbie addict. Ooh… How are the metal straws working out? Do you get a metallic taste in your drinks? 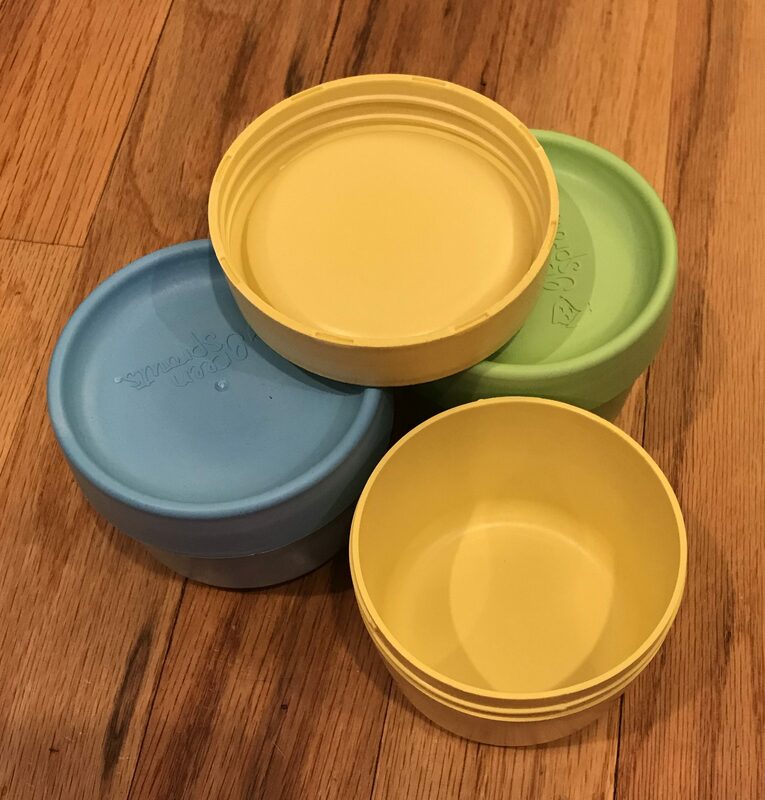 Well to be honest no metallic taste, easy to clean, but despite the rainbow colors my Squeakers squirrel them. The only drink water from the straws just in case. We have a few straw cleaners cheap from Amazon. I would reccomend them (if you are able to keep track of them lol). Thanks for the info! 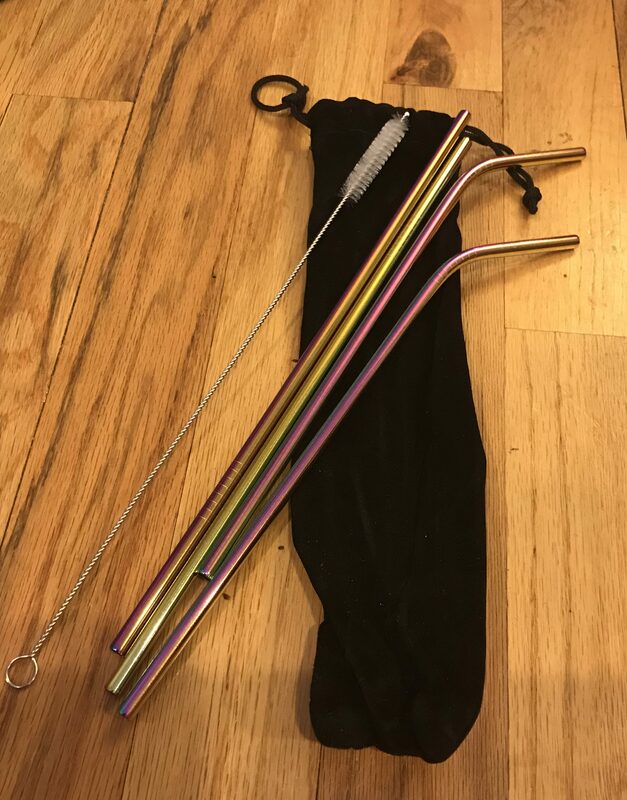 I’ve been using a set of reusable plastic straw for 2 years now, but when they eventually die, metal seems like a more durabe option. Anytime! I would suggest getting them via the Amazon just check for the highest ratings and read the most helpful and a few one stars. Also the straw cleaners are cheap there too and you can use them for tight spaces and to clean jewelry.